Fright-Rags has explored sour ground to unearth new merchandise from Pet Sematary, Night of the Living Dead, and Die Hard. 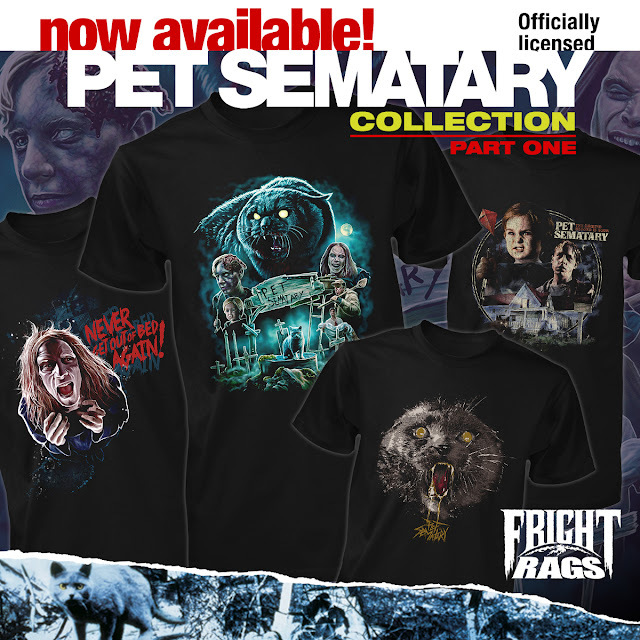 Dead is better with Fright-Rags's Pet Sematary collection. From little Gage and Church the cat to Victor Pascow and Zelda, all of the nightmarish imagery from the 1989 Stephen King adaptation is represented on four new T-shirts. 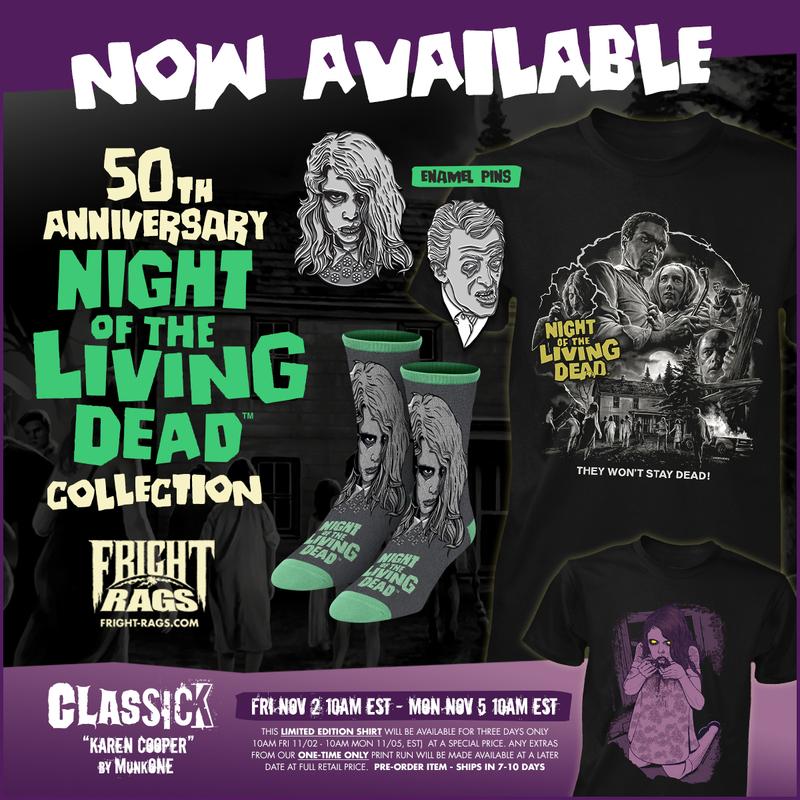 Fright-Rags continues its Night of the Living Dead 50th anniversary celebration with a new shirt, two enamel pins, and a pair of socks from George A. Romero's seminal classic. The company also made Dead Neighbors, a short film that imagines what may have inspired Romero as a young boy. Keep an eye out for a cameo from Night of the Living Dead's Russell Streiner! Fright-Rags' Die Hard merchandise will have you saying "Yippee ki-yay!" throughout the holiday season. 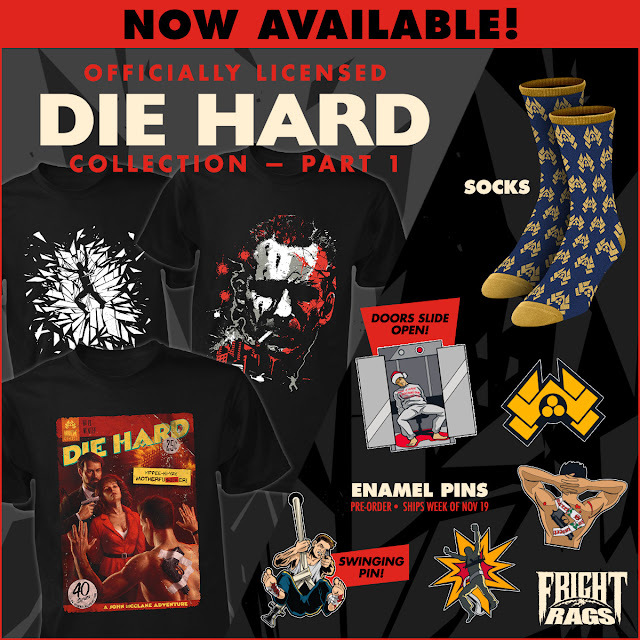 The explosive collection includes three T-shirts, a pair of socks, and five enamel pins, including one with swinging action and another with opening elevator doors. Pet Sematary, Night of the Living Dead, and Die Hard collections are on sale now at Fright-Rags.com.